The repertory of the Hong Kong Ballet’s current season lacks mixed programmes and consists of too many predictable full-length classics, although they sell well, I appreciate. 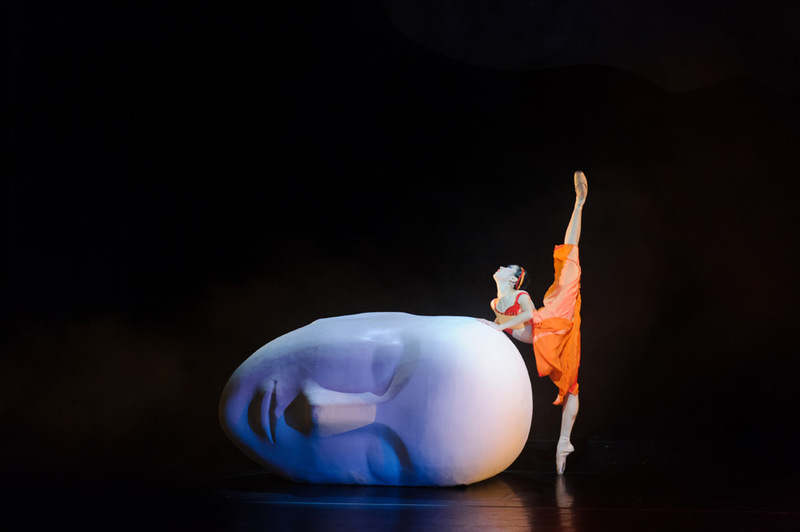 But in late March the troupe revived Turandot, created in 2003 by the Australian choreographer, Natalie Weir, and one of the best works premiered during the tenure of the former artistic director, Stephen Jefferies. Based on Puccini’s opera, the story is about the cold-hearted but beautiful Princess Turandot who sets three riddles to her suitors and condemns them to death if they can’t solve them. Prince Calaf, who is loved by the beautiful Liu, manages to solve all three riddles, and his love transforms Turandot. This narrative ballet is pretty short by normal standards, lasting only 1 hour 45 minutes including an interval. Conciseness is always a virtue in art, but I can’t help wishing that this three-act ballet could have been slightly longer, as it would have been more satisfying and perhaps better value for the audience. Weir has pared down the complicated story to its emotional essentials which are mainly conveyed in various duets and pas de trois. This somehow reminds me of Boris Eifman’s approach in his ballet Anna Karenina which I saw at the London Coliseum in early April, though Eifman is undoubtedly a superior choreographer. A corps de ballet is constantly on stage and seems to function like a chorus in a Greek play by accompanying the action in various guises. Act 1 slightly lacks focus, and the narrative is much tighter in the second and third acts which are more compelling. Weir’s choreography is competent overall but not particularly outstanding or inventive. Puccini’s opera music isn’t unfortunately very suitable for dance, as it’s too powerful on its own. The final pas de deux, with lots of overhead lifts, and the big solo variation for Calaf are the best choreographed. The finale however is rather vulgar, ending with a shower of silver dust. Wu Fei-Fei was superb in the title role. Her change of heart at the end of the ballet was particularly touching, and she brought out the contrast between her ice-cold cruelty in the beginning and her melting tenderness after she’s surrendered herself to Calaf’s love. Her dancing had a warm glow in the final pas de deux. Wu, a soloist, should be given more principal roles, and hopefully be promoted to Principal very soon. I still remember her excellent performance in the main ballerina role in Peter Quanz’s masterly ballet, Luminous, two years ago. The lead male role of Calaf fitted Wei Wei perfectly. He is less suited to the classical princely roles. Wei danced powerfully his solo set to Nessun Dorma. In the supporting roles, Li Ming was quite passionate as Liu; while Ricky Hu elicited sympathy as Calaf’s blind father. The whole company danced with commitment and conviction. The final programme this season will be Giselle in May, starring guest principal Yuan-Yuan Tan from the San Francisco Ballet. Also newsworthy is the Hong Kong Ballet’s three-week tour to North America at the beginning of next season in July. This will actually be the troupe’s first tour outside mainland China and Macau for nearly seven years. The company will participate in the Jacob’s Pillow Dance Festival and then tour Canada. They are taking a mixed-bill programme including two excellent ballets created specially for them in the past two years – Peter Quanz’s Luminous and Kinson Chan’s Black on Black. Artistic director Madeleine Onne’s success in arranging this North American tour for the company is no mean achievement and we look forward to hearing good reports.